Or everyone just briefly stared at you and assumed you have some kind of mental illness before moving on with their day. Depending on the average age of the people around, you can try this with “I’m Brian” and see if you get any response. Yeah, and then everyone applauded. 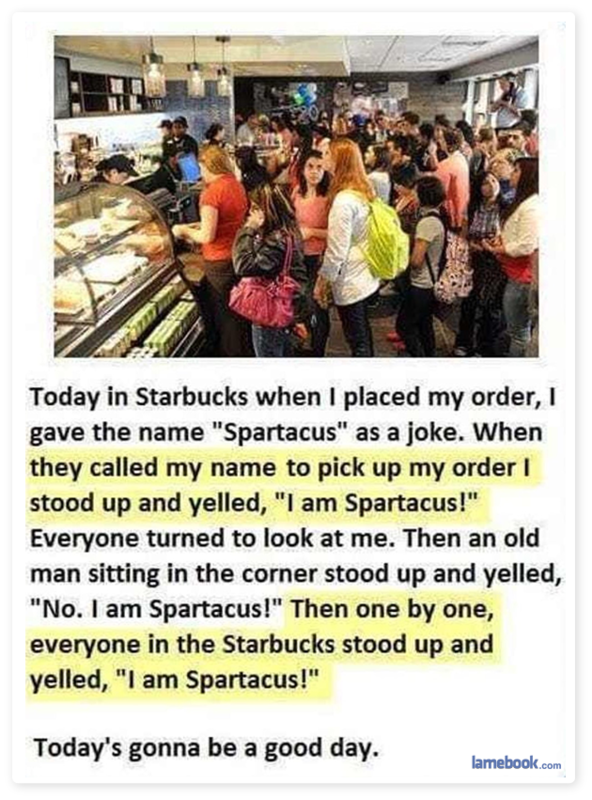 This mother fucker probably didn’t even go to Starbucks. The real question is: Why are those two sentences highlighted? They aren’t even alternating.